Here, the museum workshop personnel prepare all classic vehicles for appearances worldwide, regularly service them and perform any necessary repairs. Because however immaculate the classic cars in the “Museum on Wheels” may look, they need regular care if they are to remain permanently ready for action. The workshop team comprises one master craftsman, two mechanics, a leatherworker and a customer adviser. 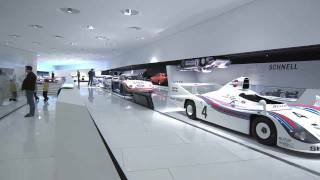 They all possess a wealth of experience in Porsche vehicles of all model years, both production and motor sport models. 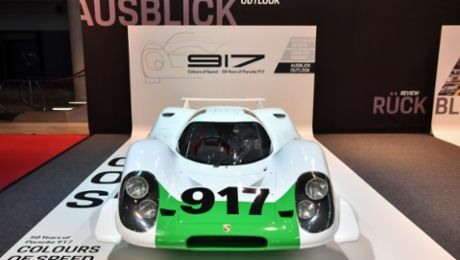 After all, they are ultimately responsible for correctly adjusting the sensitive high-performance engines of classic racing cars such as the twelve-cylinder turbo engine of a 917 in the manner that they require. There are two vehicle hoists, lathes and cutting machines at their disposal. That equips them to handle virtually every service, repair or restoration task. They can even make replicas of simple mechanical components if necessary. Minor body repairs are also part of their task area. The workshop team can call upon the entire Porsche infrastructure for any tasks they are unable to complete on site.